For instances where people return from the cave in the middle of the night, there will be a stove, gas, pan set and dehydrated expedition meals for that purpose. Everything else is up to people as a group to organise. 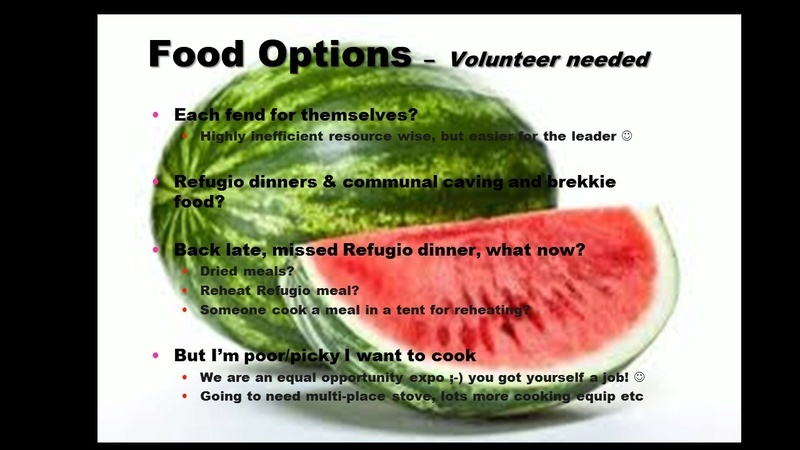 If there is a large enough group of people who have special requirements or want to cook meals outside the Refugio I recommend discussing and planning it here and organising that the food is brought up on a donkey at the start. This would NEED to be carefully planned thou!